We research, care for and share the archives of the parish of Barton Stacey, Hampshire. encourage and assist parish residents and other interested parties to do their own delving into the history of the parish. Mrs Peggy Hoare (1924-1988), Rev. Cecil B. Verity (1901-1995), Mr Shane Hearn. The History Group for Barton Stacey Parish actively researches the history of the parish and makes its findings available through this website and through talks and exhibitions. 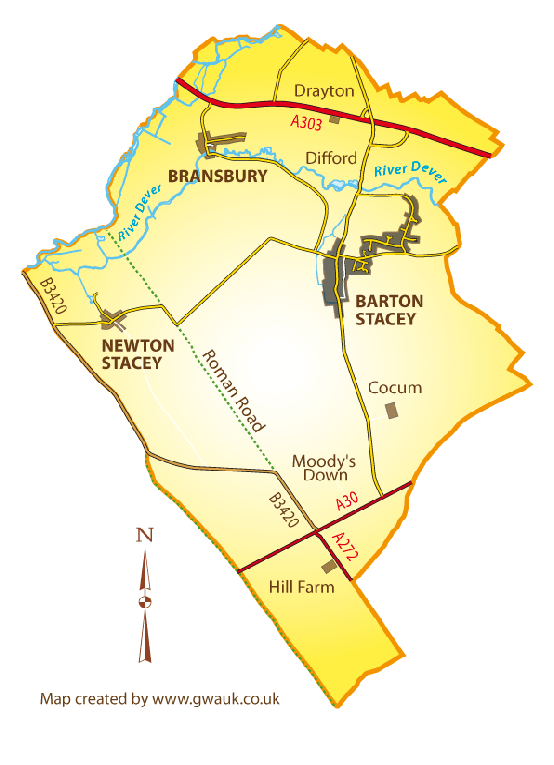 and Newton Stacey, as well as the farms. Click on the map to discover more. Keep an eye on our What’s New page. We are happy to try to answer your questions. or simply by emailing us. other local groups do this superbly well. All site content copyright © Barton Stacey History Group. - access to our 10 Nov 2018 talks.